Since the mid 1970’s humans have been exceeding our planet’s capacity to sustain us. Today humanity uses the equivalent of 1.5 planets to provide the resources we use and to absorb our waste. This means it now takes the Earth 1.5 years to regenerate what we use in a year. If current population and consumption trends continue, by the 2030s we will need the equivalent of 2 Earths to support us. The Paris Agreement of 2015 sends a clear signal that cutting CO2 emissions globally will not only help countries respond to the impact of climate change, but it is also compatible with economic growth. Community and businesses need to work together to encourage people to take up measures to reduce fossil fuel dependence. This is our chance to co-operate, collaborate and to rebuild communities. It is our chance to help to build a more sustainable planet for future generations. It’s our chance to grow the UK low-carbon sector, which is already worth over £46 billion, as we continue to provide secure, affordable and clean energy to our families and businesses. The issue of climate change can seem overwhelming, but there are simple things you can do to both help the planet and your pocket – from the very simplest (and free) measures, like closing curtains or blinds at dusk, draught-proofing and insulating your house, right up to installing solar panels on your roof to generate your own electricity. 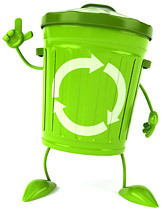 Or you could start recycling waste resources that your local Council cannot recycle via great schemes like Terracycle. Be assured that there are things absolutely EVERYONE can do to help the planet and reduce their bills. Being Green starts at home! Use this action plan for reducing climate change and moving to a ‘greener’ future. Share this list and your knowledge with as many other people as you can and encourage them to make positive changes. 1. CLEAN RENEWABLE ENERGY. Either through investing in solar, geothermal for example or sign up to receive your energy from companies who supply 100% renewable energy. We can help you review your energy bills, switch you to cheap electricity generated by water, wind and sun. 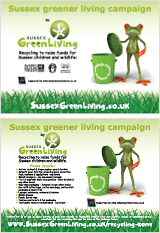 It takes less than 5 minutes and could save you money – https://bigcleanswitch.org/sussexgreen/. Check you know where your power comes from! Encourage power providers to switch to green power. 2. Reduce your energy use. Turn off lights and appliances when you are not using them. Unplug devices when not in use. Replace standard bulbs with energy-efficient compact florescent bulbs. 3. Get smart meter with your energy provider. Smart meters make Britain’s energy greener. By helping you keep track of the energy you’re using via a near-real-time ‘traffic light’ system on a handheld device, you’ll be able to see for the first time how much you are spending on energy in pounds and pence and bring an end to estimated bill. 4. High efficiency appliances. When replacing appliances, look for high efficiency units. Appliances with ENERGY STAR ratings, an international standard for energy-efficient consumer products, typically utilise a minimum of 20 % less energy. This means savings for you and the environment. 5. Ethical banking. Invest your money with an ethical bank who supports the green movement good source here http://www.ethicalconsumer.org/ethicalreports/ethical-finance/ethicalbanking/moveyourmoneycampaign.aspx. 6. Fast fashion/clothes. The fast fashion industry is the second most polluting industry, second to fossil fuels. Most Fast fashion companies sell you cheap clothes that come at a huge human, social and environmental cost. Most of these clothes have been transported using fossil fuel 8 – 10,000 naurtical miles and are made in China, India and Bangladesh. Love your clothes, wear them out and buy from charity shops. Never put unwanted clothes in your household rubbish bin, always put them in textile recycling bins. 7. Review your transport. Walk or bike when possible, it reduces your carbon footprint and is good for your health. Use public transport or carpool whenever possible. You could even participate in or start car-free days in your community. When replacing your car consider an electric car (powered with 100% renewable electricity), an electric plug in car or a hybrid car. Maintain your car well and drive economically. Avoid flying whenever possible, take a traincation and enjoy the countryside along the way! 8. Write to your local MP. Raising your concerns about the environment – tell them what you want them to do on your behalf. Whether it be lobby for clean energy, cleaners seas, protecting forests of the world, recycling etc. You can also sign petitions through organisations like Greenpeace and Friends of the Earth – these all make a difference! Or write to the Secretary of State for Business, Energy and the Industrial Strategy asking for action on emissions reduction. 9. Share your knowledge. About more environmentally friendly living with others. Encourage others to attend Climate Reality talks or organise a talk for their community, contact cort@sussexgreenliving.co.uk. Or participate in the next Climate Reality training. 10. Plant a tree or lots of trees! Encourage others to do the same. Only buy wooden goods which come from sustainable forests. 12. Water conservation. Shower rather than bath, no dripping taps, turn off tap while cleaning teeth and shaving. Collect rainwater for your garden if possible. Treating and transporting water requires energy, while water conservation results in reduced energy requirements and carbon emissions. 13. Washing machine. Use it on the coolest wash and hang to dry. 14. Reduce and Recycle. Try to buy goods and food which has no packaging or minimal (and recyclable) packaging. Any packaging you have to buy, make sure you recycle as much as possible. For certain items with large amounts of packaging, ask retailers if they can recycle or re-use it. For electronics, facilities now exist that can dispose of electronics in an environmentally responsible manner. 15. Repurpose or Reuse. Rather than discarding or recycling clothing and household goods, give them a chance at a second life. Clothing or household items in good condition can be donated to charity, exchanged, sold at a garage sale or given away through Freecycle, Freegle or Trash Nothing. Through repurposing, the amount of waste being sent to landfill sites is reduced, there is no need to use energy for recycling, and others can benefit from your used items. Be creative reinvent, remade, recreate! 16. 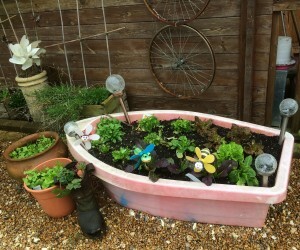 Grow your own fruit and vegetables. 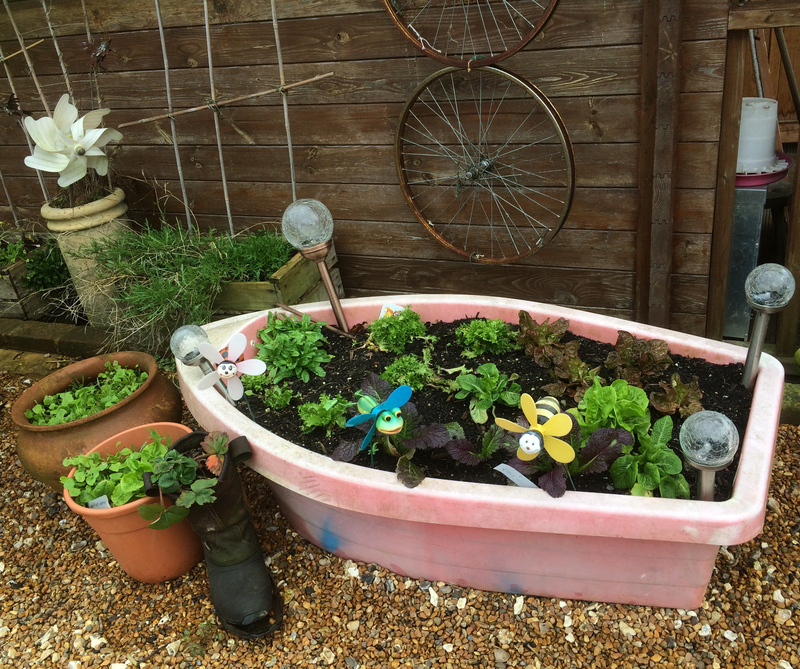 Growing your own vegetables isn’t just a fun thing to do with the family, it’s good for the environment and it’s healthy too. You don’t need an allotment or even a big space, grow bags and hanging baskets for foods like tomatoes can be a delicious addition to any meal. There is no packaging, no food miles, its more nutritious and tasty, rewarding, good exercise and will help develop more resilience from potentially spiralling food prices. 17. Increase your vegetable intake. What we eat not only affects our own health, but also the environment. Farming animals for meat and dairy requires huge inputs of water and land and has a much greater impact on the environment than producing plants such as vegetables and legumes. Try cooking a delicious veggie meal once a week, and avoid palm oil, which destroy rainforests. 18. Drought-Tolerant plants. Select plants that are well suited to your climate and require minimal watering and attention. Also make sure you include plants which are good for our wonderful pollinators! 19. Avoid food waste going to landfill. They are some of the worst culprits for greenhouse gases, releasing methane as they decompose. Make your own compost with any food waste to help your garden grow! 20. Choose to buy from ethical companies. They aim to avoid damage to the environment, exploiting its workforce by paying low wages, using child labour, or producing products which are harmful or dangerous. For example know where your furniture comes from by looking for Forest Stewardship Council (FSC) certification: Forest certification is about more than just which trees are cut down – forest certification is also about the well-being of workers and local communities. FSC is the only credible forest certification system that ensures environmentally and socially responsible management of forests. 21. Buy sustainably. We can all consciously try to buy and waste less. But we can also make simple changes to our shopping patterns and use our purchasing power to support eco-friendly and biodegradable products which are less damaging to the environment. Look at your labels and look out for certifications such as Soil Association or Fair Trade or MSC. 22. Staycation. Flying emits greenhouse gas emissions, contributing to climate change. Instead, why not think about getting to know the UK better and taking a staycation instead of going abroad? Not only is the train greener, but it’s a lot more fun with a family. Let’s move away from the mentality of Mine it, Make it, Dump it! Further sources of help and reading can be found here. Self-sufficiency is the state of not requiring any aid, support, or interaction, for survival; it is therefore a type of personal or collective autonomy. The term self-sufficiency is usually applied to varieties of sustainable living in which nothing is consumed outside of what is produced by the self-sufficient individuals. This is quite extreme for many families, however this infographic illustrates the land you would need to support a family of four – click on the infographic to enlarge it. You might not feel you can become self-sufficient but we all need to try and live sustainably. What does sustainable living actually mean? It is a lifestyle that attempts to reduce an individual’s or society’s use of the Earth’s natural resources and his/her own resources.Practitioners of sustainable living often attempt to reduce their carbon footprint by altering methods of transportation, energy consumption and diet. Let’s all try and do a little more! Thanks to By Dave Llorens from One Block Off the Grid for this fantastic infographic. Slow Down Sunday is a day of reflection and reconnection. The aim is to re-establish Sunday as a special day during which we engage with our family, friends and local community. On Slow Sunday we invite you to take part in simple actions that symbolise a rejection of commercialism, a passion for the planet and a desire for change. The more people who join in and embrace the ethos of Slow Sunday, the greater the impact, so invite your friends, neighbours and local community to take part in a Slow Sunday celebration. A typical Sunday should start with a lie-in and a late breakfast, followed by a stroll in the countryside, cooking and feasting on a roast dinner, an afternoon movie, a light tea, prepare sandwiches etc for work and school and an early night. Do you remember those good old days? Why not make a rule: no shopping on Sundays. 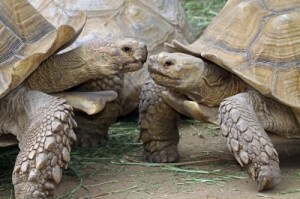 Thanks to FreeDigitalPhotos.net for the tortoise photo! Bio D, Faith in Nature and Ecoleaf are ethical and sustainable products for your cleaning your kitchen and bathroom. They use powerful, plant-based ingredients with natural scents, their bottles are made from 100% ‘Plantastic’ sugar-cane plastic and what’s inside biodegrades quickly with minimal impact on nature, is dermatologically tested and leaves no nasty chemical residues. To reduce the amount of packaging they produce and to minimise their carbon footprint, these companies offer a refill scheme. You can refill your bottles at the Horsham Repair Cafe which is on the first Saturday every month at the Quaker Meeting House, Worthing Road, Horsham. More information here. Refilling saves you money as well as plastic resources – your bottle can be re-filled up to 50 times before you need to replace it! (Not forgetting to recycle your old bottle!) They sell over 91,000 litres of refill a year, saving tonnes of plastic from going to landfill. Disinfectants. This is a catch-all term for a variety of active ingredients, including chlorine bleach, alcohol, quaternary compounds, and pine oil and ethyl alcohol. They are regulated by the EPA as pesticides and all have some health effects. Most can also cause problems in waterways by killing helpful bacteria. Found in a variety of household cleaners; many products that carry the “antibacterial” label are also disinfectants. 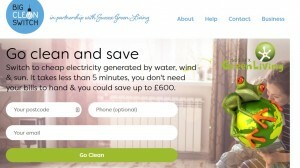 If you are thinking about getting some cleaning help around your home or at work, you might like to look up this company, Green Clean who are based in Chichester. They specialise in environmentally friendly domestic and commercial cleaning services. They are constantly employing 100% natural eco friendly solution to your every day cleaning problems. 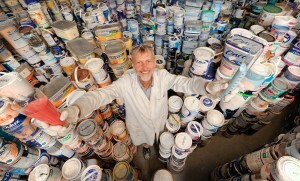 Newlife Paints Managing Director, Keith Harrison developed the process which turns waste paint, destined for landfill, into a premium quality home decorating product. After years of extensive research the ReBorn Collection has been refined and developed. Every pot contains up to 90% recycled content, returned to the very best quality using our own unique blending process. The ReBorn Collection has been brought to life through the vision and passion of a close-knit family business and is created and manufactured exclusively in the UK by award-winning paint producers. Newlife Paint are based in Ford, West Sussex so local with minimal carbon footprint when it comes to transportation! Learn more here. Using Real Nappies is an action that can be placed at the very top of the waste hierarchy as it helps you reduce the waste that you are creating and it means that you are re-using them again and again. Consequently Real Nappies have next to no impact on landfill sites as opposed to the 3 billion disposable nappies that are thrown away each and every year in the UK, 90% of which are landfilled. A baby in disposables will need about 4,000 nappy changes in total, that’s 4,000 disposable nappies in a landfill site, or 24 Real Nappies hanging on your washing line! This is a highly debated subject which often generates much confusion for consumers. ”Real nappies can be up to 40% better for the environment than disposables.” This was the finding from the 2008 update to the Environment Agency’s Life Cycle Analysis Report on nappies. Unlike disposables, Real Nappies put parents in control of the impact they have on the environment, with the carbon savings directly related to how you choose to wash your Real Nappies. What is a ‘Life Cycle Analysis’? A Life Cycle Analysis (LCA) is a study which shows the impact of something across its entire life – from the production of the raw materials to the disposal of the finished item. The Environment Agency first commissioned an LCA for nappies in 2004 and the report was published in 2005 to much criticism as it made very broad and sometimes incorrect assumptions about Real Nappy use. The updated study was published in 2008 and showed that, used responsibly, Real Nappies can be 40% better for the environment than disposable nappies. 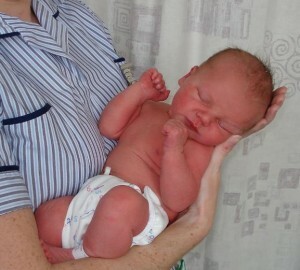 Store used nappies in a bucket with a lid – there is no need to soak them. Always wash in a full load at a maximum of 60 degrees. Use A rated appliances, if yours is not A rated, next time you buy one make sure it is. Use an eco detergent but don’t use fabric conditioners or chemical sanitisers. Never tumble dry your nappies, always hang them outside or use an airer. 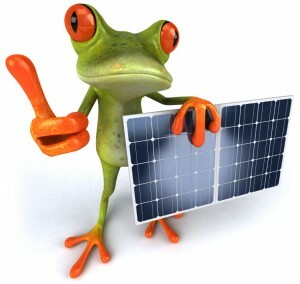 Switch to a ‘green energy’ tariff for your electricity Good Energy is the only 100% renewable energy supplier). Use the washing machine at night when the tariff is cheaper, it will save you money. For maximum environmental benefit, reuse the nappies on another child or pass them on to someone else – the more times they get used the better! If you don’t know anyone who wants or needs them, give them away on Freegle and Freecycle. Learn more about these groups here. 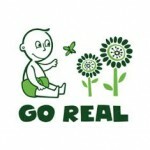 To find out what support there is in your area, visit Go Real – The Real Nappy Information Service, you can search using your post code to find local trial kits, council schemes, laundries and advice services, but that’s not all you can search for! You can find shops or nappy sellers in your local area or if you would prefer to shop online you can find a whole range of businesses that stock Real Nappies. If you’re feeling really specific and you want to find somewhere that sells flat nappies or a particular brand you can do that too! Are you concerned about your community or the health of the planet as a whole? Whether you just visit their website to learn more about what is going on or find local suppliers, or whether you actively join the group, that is up to you. Transition groups are about building community networks, sharing and learning new skills. They are about cutting our carbon emissions through establishing new community based ways of producing energy and heating our houses efficiently, reducing our individual carbon footprint, recycling and reducing waste. It is about growing healthy local produce, encouraging local biodiversity through seed swaps, mending clothes and knitting, baking bread and making preserves, learning more through reading groups and film nights, having fun and travelling lightly. Steyning 10:10 Climate Action Group This is not a transition group, but an independent group that took on a 10:10 banner when they started out, and has since adopted and adapted a ‘Greening Campaign’ community awareness raising approach. Landshare is a social network for the grow your own movement, connecting people who need land to grow food to those who have land to spare. Find an allotment, get advice about growing vegetables, create or join a CSA, and make friends. For people who have a passion for home-grown food. Since its launch through River Cottage in 2009 it has grown into a thriving community of more than 55,000 growers, sharers and helpers. http://www.theclimatecoalition.org/. The Climate Coalition, the UK’s largest group of people dedicated to action on climate change and limiting its impact on the world’s poorest communities.